To enter the Sweepstakes (which will end on May 15) you must show HTC “your Captain America-inspired selfie with the #superselfie hashtag” - either on Facebook, or on Twitter. For more details, including the official rules of the contest, you should check out the source links below. The first link even provides several Captain America wallpapers “for your HTC” (although you can use them on other phones as well). This is not the first time Marvel and HTC have partnered together. 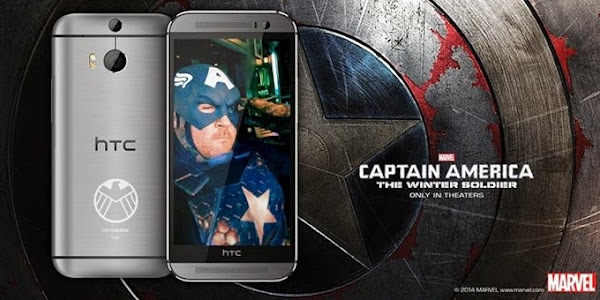 The studio’s latest movie, Captain America: The Winter Soldier, features the older HTC One M7 in a short scene. Quite a nice product placement, we'd say.